It was IO himself (the supreme being) who sent forth his sacred messengers Apa Whatukura from Te Toi a Rangi the uppermost heaven to see who could climb the heavens in search of knowledge. Both Whiro and Tane responded to the challenge, but only Tane was successful. 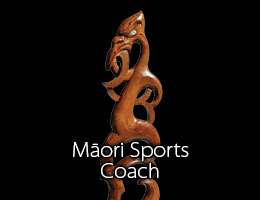 The reason that Tane was successful was that he chose to climb by the routes Te Toi Huarewa and Te Aratiatia, accordingly, he reached Tikitiki o Rangi and was given “Nga Kete o te Wananga” the sacred baskets of knowledge and the sacred stones of education. 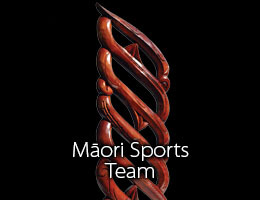 The name Te Toi Huarewa has been chosen for the award to sportsperson with a disability. 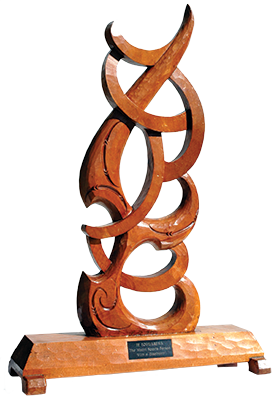 In order to achieve success Te Toi Huarewa signifies whanau support, diligence and dedication. Furthermore, the prize at the end of this pathway is knowledge, understanding and great achievement. Nā IO I tuku mai I tana karere tapu ā Apa Whatukura mai Te Toi ā Rangi ki te kimi ko wai ka taea ki kake ki ngā rangi ki te rapu I te mātauranga. 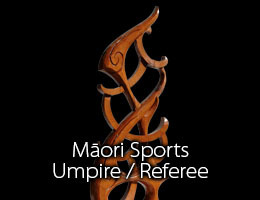 Nā te tokorua nei nā Whiro rāua ko Tāne I whakautu ki taua wero, engari ko Tāne I toa. I toa ai ā Tāne nā te mea I piki ia ma Te Toi Huarewa me Te Aratiatia, kia tae ia ki Tikitiki-o-Rangi ka hoatunga ngā Kete o te Wānanga me ngā Kōhatu Tapu o te Mātauranga. I tohua te ingoa o Te Toi Huarewa ki te Kai-tākaro Hauā. 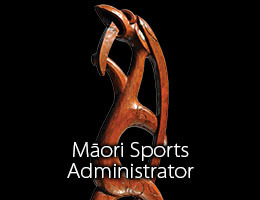 Ki te whakawhiwhia ki tēnei taonga e waitohua ki te tautoko o te whānau, he puku mahi, he ngākau nui. Inā hoki, ko te taonga I te mutunga mai ko te mātauranga, ko te ngākau mōhio me te whakatutukitanga nui.